BLACKLIGHT is a Salem/Boston based, high energy, beatbox heavy a cappella group! 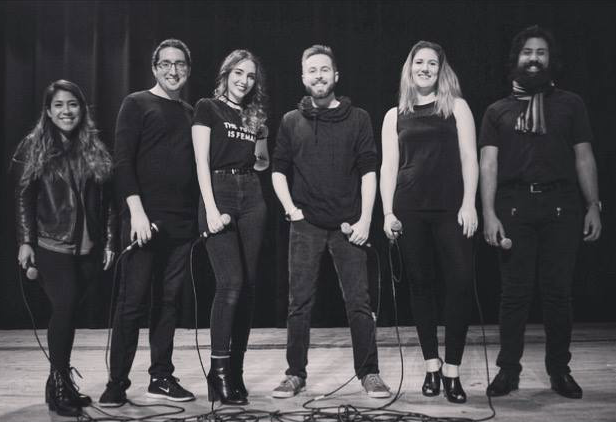 Created by The Hexachords director, Craig Simonetti, and Hexachords/Sound Off member Diana Galeano, Blacklight is made of 6 energetic, multi talented musicians and a cappella enthusiasts. Our aim is to bring a cappella fully into the 21st century, where the audience's experience is the most important. We want you to get on your feet! Dance and sing, scream and shout, jam and vibe. Gone are the days of doo wop and jen jen... now we wub wub. No longer does the beatboxer simply "keep time"... now he is a feature. And that bass? You will feel it in your very soul. So if you're looking for some HIGH ENERGY, beat-tastic, wub filled, dance music... Who you gonna call? BLACKLIGHT.